Give your bedroom coastal flair with the Carte Postale Comforter - Queen. 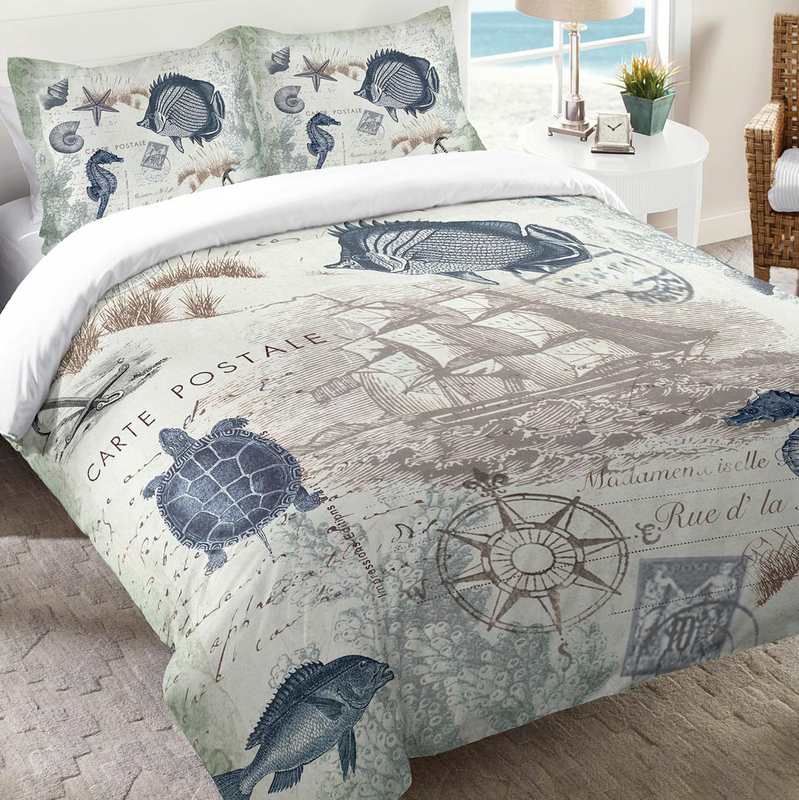 These beach comforters are detailed with navy, tan and gray nautical icons, sea creatures and shells. Ships from the manufacturer. Allow 1 to 2 weeks. Cannot express ship. For even more offerings, we encourage you to take the occasion to look at our extensive selection of beach comforters at Bella Coastal Decor now.